The headlines say yes, but the medical establishment is ignoring some important new evidence that could yet save antibiotics. Action Alert! Antibiotic-resistant illnesses currently kill an estimated 700,000 people a year globally. By 2050, these illnesses are expected to kill 10 million people. Based on recent news, this could be coming a lot sooner. Earlier this year we reported that a strain of Carbapenem-resistant enterobacteriaceae (CRE, dubbed by health officials as “nightmare bacteria”) that is resistant to colistin—an antibiotic of last resort—has been quickly spreading across the world. In other words, the “nightmare bacteria” has become resistant to conventional medicine’s last resort drug, which itself has horrendous side effects. [This] basically shows us that the end of the road isn’t very far away for antibiotics—that we may be in a situation where we have patients in our intensive care units, or patients getting urinary tract infections for which we do not have antibiotics.…I’ve been there for TB patients….I’ve cared for patients for whom there are no drugs left. It is a feeling of such horror and helplessness. This is not where we need to be. It’s also telling that colistin had become so crucial to mainstream medicine’s fight against antibiotic resistance. The drug is over fifty years old and can cause major kidney damage to those who take it. As Dr. Frieden noted, drug-resistant forms of tuberculosis (TB) are also spreading, with health experts saying that this bacterium is “virtually untreatable” and one of our “most significant global threats.” About one-third of the world’s population carry latent TB, and about 10% of these carriers will become sick. And let’s also keep in mind that many people are allergic to antibiotics or especially prone to serious side effects. The world is full of people with recurrent infections of one kind or another, such as urinary tract infections, who are taking antibiotics because they think there is no other choice—even though the traditional antibiotic itself may be making them seriously ill, or the Cipro may be destroying their tendons. What do many doctors tell these patients? “Sorry, there are no other choices”—which is simply not true. Tens of thousands of reputable research studies support the use of natural medicines for bacterial infections. What is even more shocking, and especially pertinent for today’s headlines, is that there are research studies showing that the addition of natural medicines such as silver to antibiotics makes them far more potent, so that either a smaller dose can be used, or resistance can be overcome. One study found that adding just a small amount of nano-sized silver to antibiotics made the treatment much more potent in killing a resistant type of bacteria. Subsequent studies showed that this approach was not harmful to human cells. Animal studies showed that the toxicity that can result from higher concentrations of silver can be avoided by administering silymarin (from milk thistle) and vitamin E in conjunction with the silver. Nanosilver can also destroy the bacterium’s biofilm—a protective organic coating that helps protect the bacteria from antibiotics. One study showed that nanosilver destroyed the biofilm, making the bacteria susceptible to lower doses of antibiotics. Researchers found this strategy to be effective against some of the most dangerous bacteria. Silver on its own is a powerful killer of bad bugs, but together with antibiotics it may be even better. It is very difficult, for example—probably impossible—for bacteria to become resistant to silver. It is safe enough to be commonly used to purify water in developing countries. It is even approved by the EPA for use in consumer products as a sanitizing agent—a use we do not approve of! It may even be in your shirt or a pair of your socks. If medical authorities think it is safe enough for people to drink silver routinely in their water and to use it as a sanitizing agent, why does the FDA so stubbornly oppose its use in medicine? Presumably because silver is a natural substance and therefore isn’t patentable, so it won’t make big money for Big Pharma, who is the FDA’s partner and the source of its funding. The FDA won’t even approve the use of silver in hospitals! Copper is used in hospitals for its antibacterial properties, but silver, which is stronger, is not. Must millions die because of this out-of-control corruption? Meanwhile, the FDA hasn’t even addressed the underlying reasons why antibiotic resistant bugs have proliferated. We know that one major source of the problem is the misuse and overuse of antibiotic drugs on factory farms, where animals are routinely fed drugs to prevent the spread of disease amid the squalid conditions that often prevail in CAFOs (concentrated animal feeding operations). In 2013, the FDA released a set of voluntary guidelines to try to curb this practice, but recent progress reports show how ineffective voluntary compliance has been. The sale and use of antibiotics for animals actually increased by 4% between 2013 and 2014. Animals also received more drugs important for human medicine, with those sales up 3% between 2013 and 2014. Another part of the problem is the routine overuse of antibiotics by doctors’ offices. 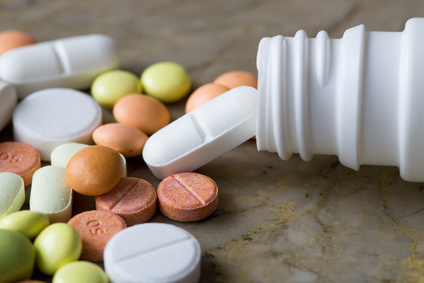 A report by the CDC found that, of the 262 million people who received prescriptions for antibiotics between 2010 and 2011, 30% were unnecessary. Another estimate, cited on NPR, says up to 50% were unnecessary. silver, intravenous and lipospheric vitamin C, and olive leaf extract to fight both viral and bacterial illness. All of these are supported by good research which, for example, will tell us which herb to use for which bacterial infection. And if we want to save antibiotics, we should consider combining them with natural antimicrobials such as silver.